Hi everyone! I am excited because it's my turn to host this week and I have some wonderful ideas to share from you, our guests! Here...I have been working on getting ready for the 4th of July with my COUNTRY LIVING INSPIRED FIRECRACKER FAVORS...so much fun to make! Can you believe it's almost here? And now...I want to see what you have to show us, so let's get this party started! Hi everyone! Thanks so much for joining us at The Scoop! We are excited to have you as our guests and always look forward to seeing what you have to share with us each week! I've been busy getting my home ready to celebrate the 4th of July. Have you realized that it's less than two weeks away? Sooo....I have some super-easy and fun ways for you to add a little red, white and blue...like my BURLAP STARS AND STRIPES WREATH! You can't get any easier than this because you just tie it! 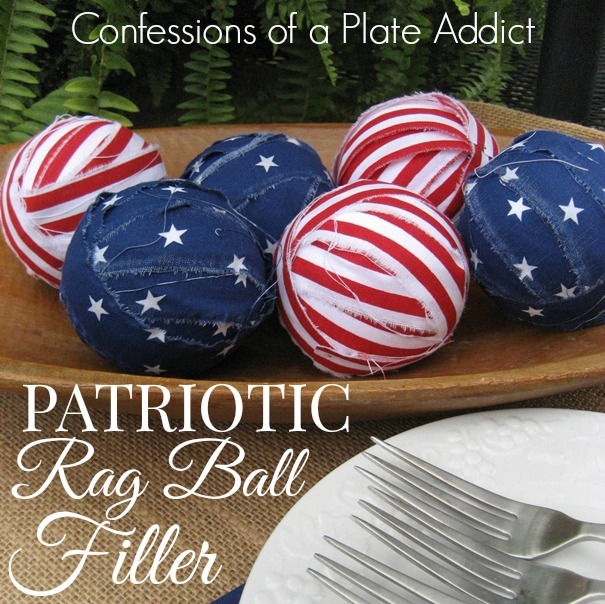 And another fun and different way to add some stars and stripes in unexpected places is my PATRIOTIC RAG BALL FILLER. It's simple and inexpensive to make, too. Just display them in a dough bowl or stack them in a lantern or large vase...instant centerpiece! There are always so many wonderful ideas that it's hard to choose, but here are just a few that caught my eye last week! 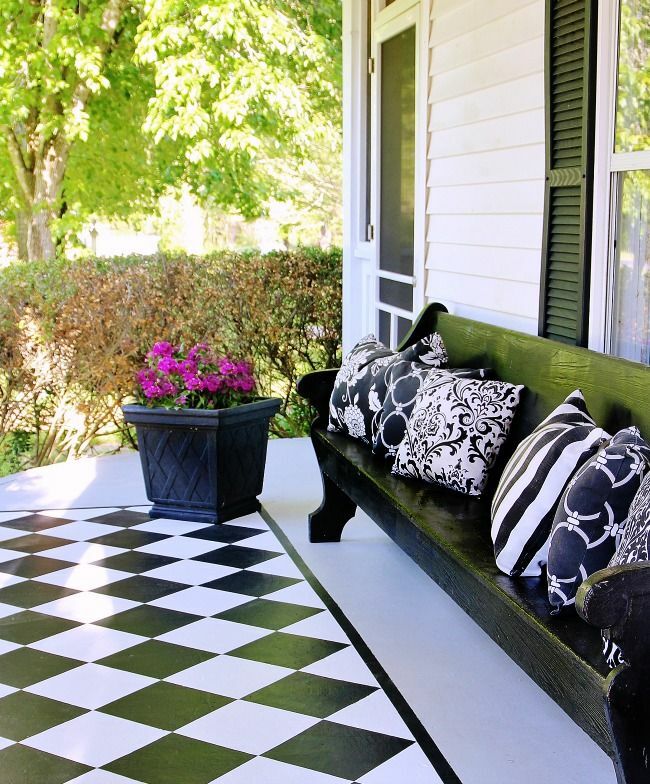 KariAnne at Thistlewood Farms shared her unique FAUX PAINTED FLOOR RUNNER. What a great idea! 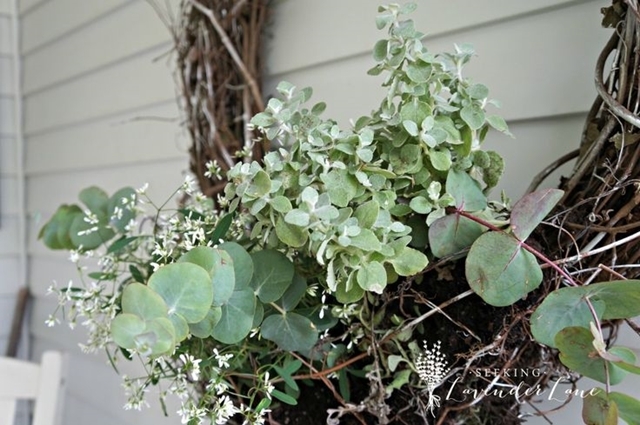 Deb at Seeking Lavender Lane showed us how to make her pretty DIY WICKER WREATH PLANT HOLDER. Genius! 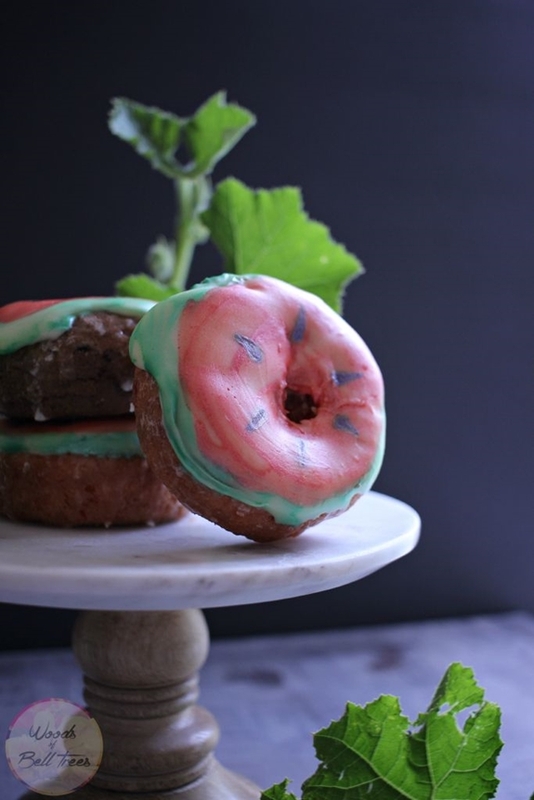 These WATERMELON GANACHE DOUGHNUTS from Heather at Woods of Bell Trees made me want to try food airbrushing paints...almost too pretty to eat! Mary at Home Is Where the Boat Is shared her PATRIOTIC PORCH plus lots of other ways to show off your stars and stripes! 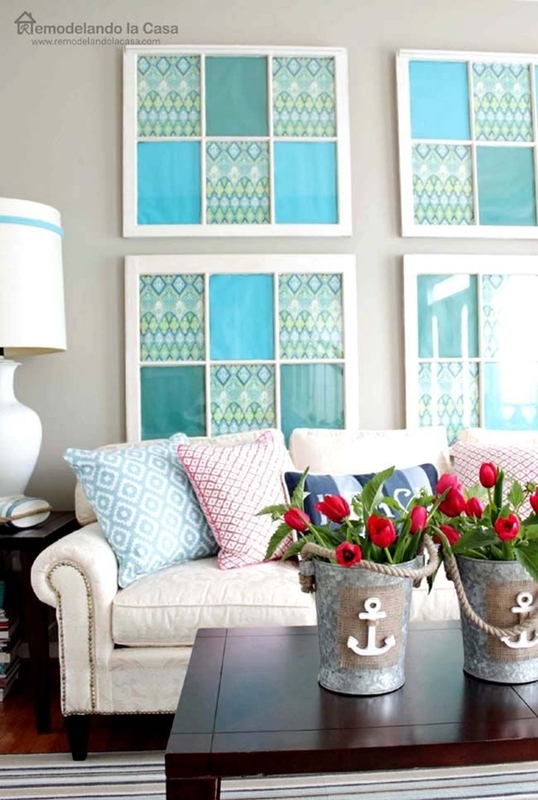 And finally, Cristina at Remodelando la Casa took us on a SUMMER HOME TOUR and shared lots of wonderful ideas for adding coastal touches. Now...I can't wait to see what you have to share, so let's get on with the party! Love your 4th decorations. Can't believe we are almost half way through the year. Thanks so much for hosting. 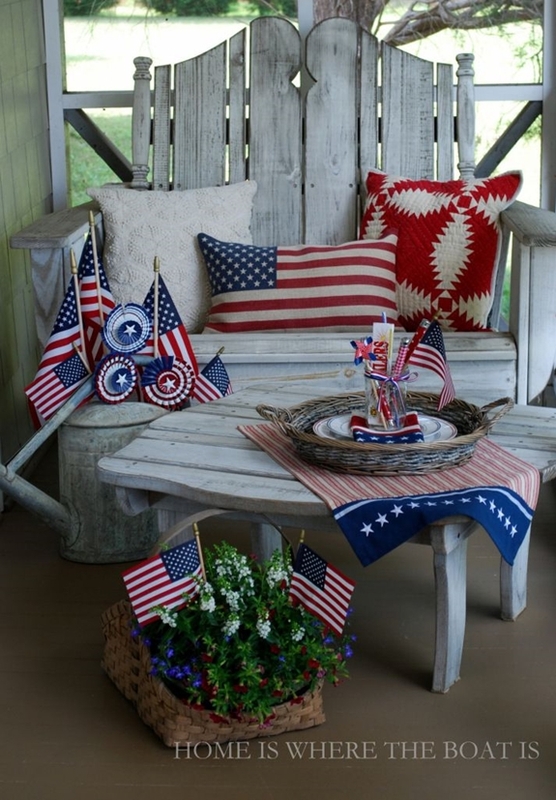 Debbie, Thanks so much for sharing my Patriotic Porch! I honored and thrilled to be included among all the creativity and inspiration her each week! Wow Debbie! Love your wreath! Yaaaay you just made my day, Debbie! Thanks so much for the feature. Wishing you a wonderful week! Debbie, thanks so much for hosting! 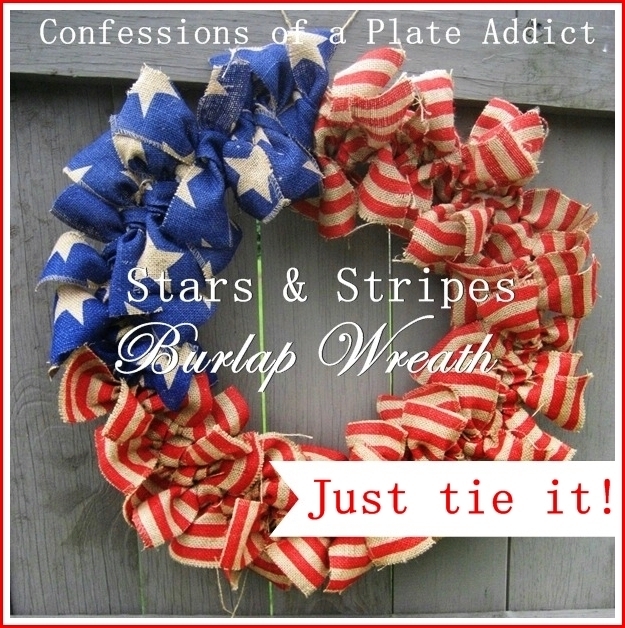 Your stars and stripes wreath is so clever and cute and I'm loving KariAnn's painted rug! Have and wonderful week! Thank you for hosting a great party each week.